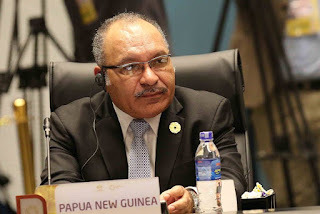 DIRECTOR of the National Fraud and Anti-Corruption Directorate Chief Superintendent Mathew Damaru has advised the Police Commissioner that the case against Prime Minister Peter O’Neill is closed and no further action is intended to be taken against him in relation to his alleged role in the allegations of fraudulent payments made to Paul Paraka Lawyers. Police Commissioner Baki said today that Chief Superintendent Damaru made this known in a comprehensive brief to the Office of the Commissioner on the status of the ongoing investigations into the allegations of fraudulent payments being made to the law firm which implicated the Prime Minister and resulted in the warrant of arrest obtained against him on 12 June 2014. Commissioner Baki said, “On 25th February 2018, immediately after the court’s handing down of its decision on the Prime Minister’s case, I wrote to the Prime Minister and invited him to furnish for record purposes a statement providing his side of events leading to the allegations levelled against him. “On 10th April 2018, the Prime Minister agreed and responded in writing and provided a detailed rebuttal to the allegations leveled against him. “The Prime Minister’s response was examined by the National Fraud and Anti-Corruption Directorate under Chief Superintendent Damaru and a reassessment of the evidence resulted in that the allegations against the Prime Minister lacked the required elements to prove the case beyond reasonable doubt.